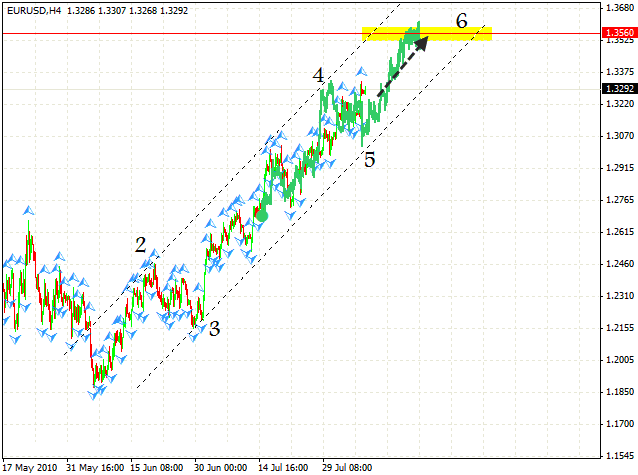 Here we still can see a rising pattern with the target of 1.3560. Although we didn’t see a correction on Friday, it means that the rising trend is strong. The price is not even corrected; it just goes up and up. We can try the tight stop purchase and move stops into the black as soon as possible. 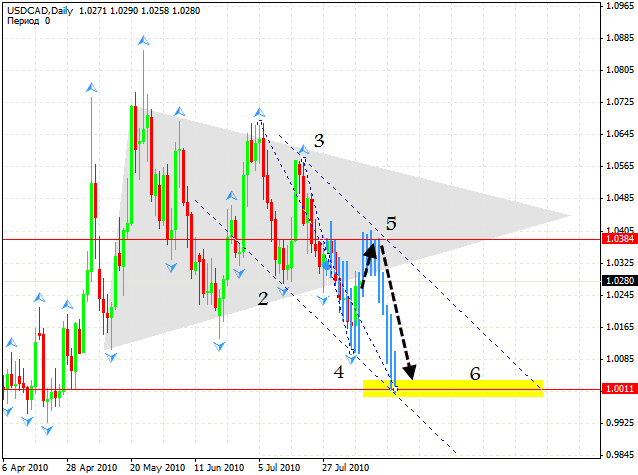 Canadian Dollar is not falling after breaking the “triangle”. Currently we have a descending patter forming with the target of 1.0011. 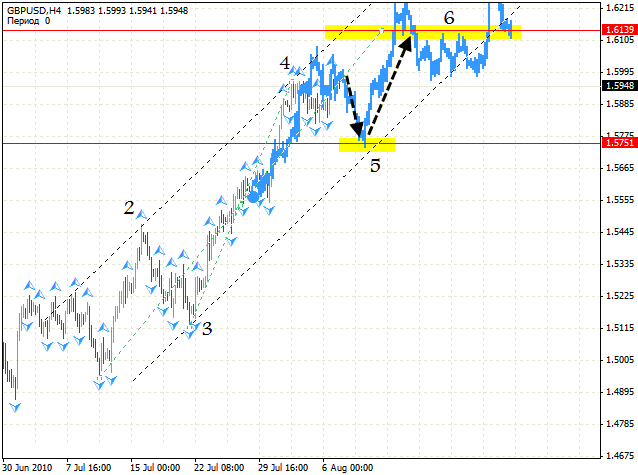 We’ll wait for the correction into the 1.0380 area, and then we can try to sell the pair. I wouldn’t buy in this situation. We expect Pound to fall into the 1.5750 area, and after the 5th point of reference is formed we can try to buy with the target of 1.6139. I wouldn’t sell the pair, because we have a quite strong rising trend at the online forex trading market. 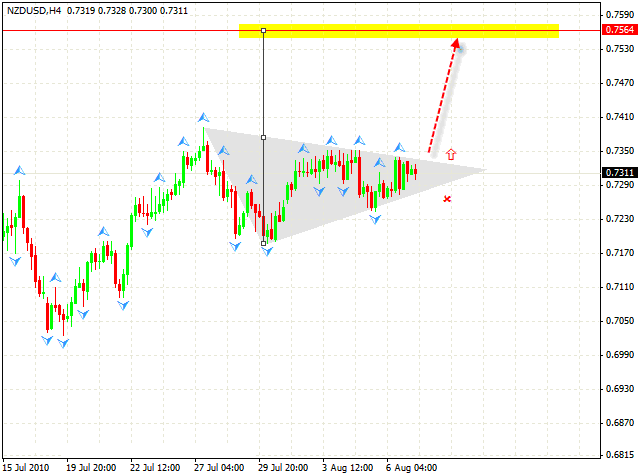 Here we have a “triangle” pattern forming, and when the “triangle” is broken, it will move us to the 0.7564 level. In one of our earlier analyses we discussed patterns pointing at significant growth of the pair, so we can try to buy. The stop is below 0.7290.